The Covert GPS Service Plan allows you to choose from 3, 6, 9, and 12 month plans. Each longer plan offers a higher discount. Covert GPS tracking systems are now used in plain site, as our new covert GPS tracking system combines covert GPS trackers and GPS recorders into a GPS navigator that sits on your vehicles dashboard. 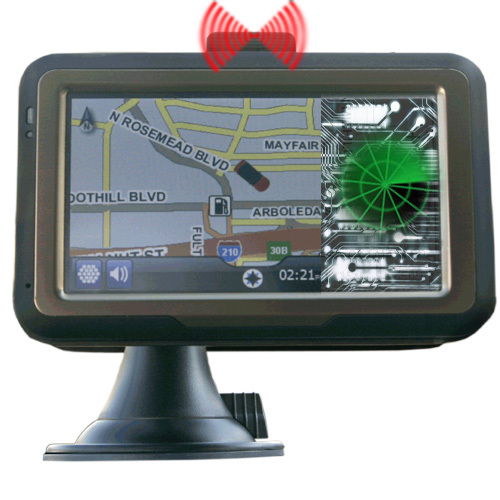 Q: How do you put a GPS Tracking System into a car, SUV, Pick-up truck, or truck in plain view? Without drawing attention? A: By building a GPS Tracker inside of a working GPS Navigator. That's right. Now you can find your way with an operational GPS Tracker and covertly watch where your loved ones or employees take your vehicle without having to hide a GPS Tracking System somewhere in or on your vehicle. You can track them and see where they travel on the backdrop of a digital map that is web based. Q: How long will it track for? A: Because covert GPS tracking systems do not run on batteries, the operating time is unlimited. 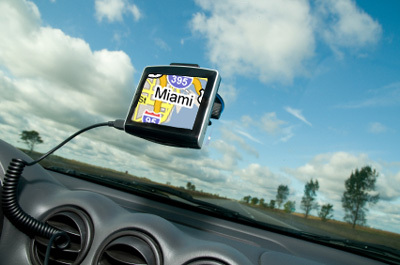 When people see this, they think its a GPS Navigator. They would never think the owner is watching where they are going. 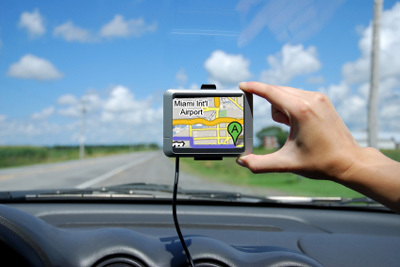 As a GPS Naviagation aid, it works to help the driver get from A to B. It even lets the driver receive and send messages to the owner in real-time, not using SMS, without any delay in transmission or reception times. Another great feature is the ability to remotely program the destination through its web based GPS tracking system so that you can guide your driver from location to location by remote control. you can track your vehicles movements. 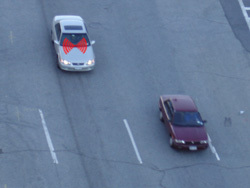 As a Covert GPS Recorder, the system is able to record the history of where the vehicle travels. Because it does not look like a GPS Tracking System, no one would ever think that their movements are being watched or recorded. With this Covert GPS You can ensure that your loved ones are under your watch to make sure they are safe. Like a cellular phone, there is an activation fee of $29.95. At the end of your service, you can cancel or renew. However, should you cancel, you will be PLEASED TO NOTE there is no termination fee, so if you decide you wish to suspend or cancel your Covert GPS Tracking service, you will not be hit with a cancellation fee for service or a termination of equipment and / or service fee. You simply pay for the service plan, and if you decide to stop that plan, then there will be no additional fees (just the fee for the plan you chose). GPS Tracker or GPS Tracking System offers vehicle tracking for tactical GPS Tracking operations, real time tracking for live surveillance, and features geofence and gps alert options so you can conduct gps surveillance in broad and specific areas. Q: Can the driver of my vehicle figure out that I am using a GPS Tracking System? A: Because our GPS Tracking Systems are built into a covert housing, there is no way the driver could see a tracking device that is right in front of them. Q: What type of information besides location can I observe? A: Excessive Idling can be reported to you, Vehicle Speeding data can be sent, how long a vehicle moves and how long it stays parked, Mileage reports can be determined. Q: How do I install the Covert GPS Tracking System? A: A mount is supplied, and once you place it on your vehicle's dashboard or windshield, you simply connect the power to the 12Volt Cigarette Plug. Q: Where does the Covert GPS Tracker work? A: Please check out our published Covert GPS Tracking Systems Service Database by CLICKING HERE. Q: What kind of Customer Support is available? A: There is unlimited Technical Support from 7 a.m. to 7 p.m. CST, Monday thru Friday and 9 a.m. to 4 p.m. CST, Saturdays. Q: How is the GPS Surveillance data sent from my vehicle to my PC? A: The Covert GPS Tracker transfers data from global positioning satellites (GPS) via cellular transmissions (GPRS network) to data centers that you (the buyer) can access via the web. Q: Do I need to let anyone know that I have installed a Covert GPS tracking device driving my vehicle? A: We recommend that all drivers be informed of the your decision to install GPS Trackers on all vehicles but there is no legal requirement to do so. This item takes 4 - 6 days to build.